Increasingly academic researchers and healthcare providers are looking to the commercial sector to accelerate their research interests into practice. 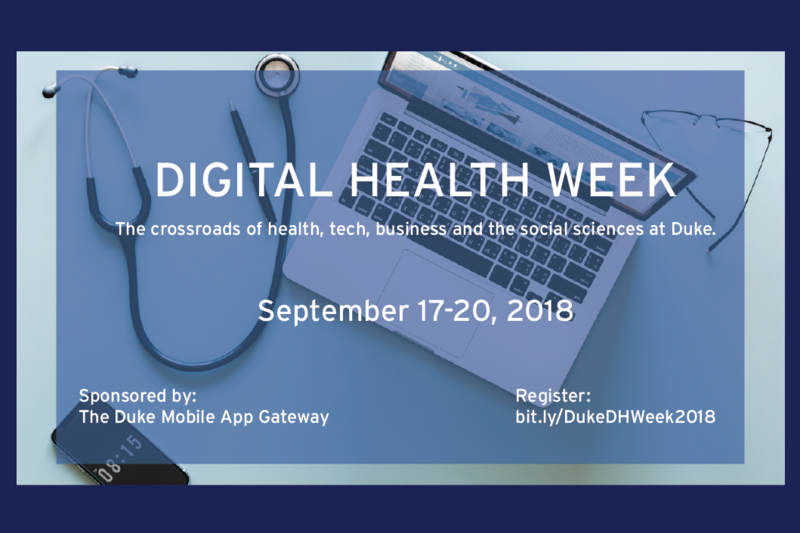 Join us as we kick off Duke's first digital health week with an intimate fireside chat with leaders from Duke who have made the leap into the world of start-ups. We'll discuss their personal experiences in translating their academic interests into business ventures using machine learning, behavioral economics, and big data, all with the aim of driving forward health.